Cyndee Dalton talks about International Playthings and playing board games. 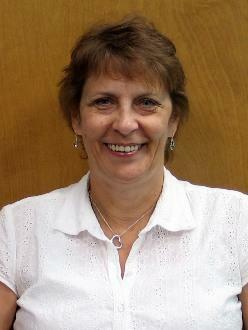 Cyndee Dalton is a certified secondary English teacher who chose to make a career in the business world. She first started working with games at International Playthings LLC when they were the exclusive distributor for Ravensburger, Germany, maker of classic games and puzzles sold worldwide. That was over 15 years ago, and she is now a senior product manager for product lines such as iPlay Games and Calico Critters. Recently, Cyndee spoke to LoveToKnow Board Games about International Playthings and their award winning-products. International Playthings is one of the largest suppliers of toys to the locally-owned independent toy retailer. With over 10 brands and more than 400 different toys, we have been in business for over 35 years and are an industry leader in innovative toys and games. What board games do you have available? We have a large variety of card games, board games and action games for ages 3-99! With games for preschoolers, word games, trivia games and other games for the whole family, our game category continues to grow. One of our most popular games is Great States, a geography game with over 400 fact, find, figure and fun trivia questions - all the answers can be found on the game board! The game comes with a mechanical timer which tick, tick, ticks away as players search for the answer. Great fun for the whole family. New on 2009 is Red Light, Green Light. Pump the colored buttons to move the cars along the track. Mr. Traffic Light tells you when the light changes. If you go through a red light he sends you home. Plenty of racing action! You can see how this game works at this site. Quackers is a great game for young players. 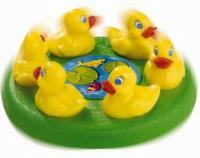 Spin the ducks' nest round and round. Can you hear the quacking sound? When the nest stops spinning, players try to locate the hidden quacking egg by peeking under the ducks. Whoever finds the egg first wins. Our Honey Bee Tree game has also been a best-seller for over 10 years! What ages are appropriate for your board games? Mostly 3-8, though we have family games too. Playing board games promotes socialization while kids learn essential skills -recognizing and matching objects, taking turns, classifying, visual discrimination and fine motor skills, to name a few. What are some other favorite products that your company offers? Earlyears is our popular infant brand designed for developing young minds, and we also carry TAGGIES development toys, which are always a hit with moms of infants. Yookidoo toys are known for their innovative play characteristics that encourage child exploration. iPlay is our brand of toddler and preschool toys that offers popular pretend-play products. We also sell Viking vehicles, Gotz dolls, Calico Critters miniature animal families with houses and furniture, Mighty World adventure figures and accessories, Imaginetics playsets and Quercetti educational toys. Please tell us about any award winning products that you have. iPlay Up the Water Spout: 2008 Parents Magazine "Best Toys of the Year"
All of our award winning products can be viewed on the International Playthings LLC website. It is important for children to play games. Besides being fun, games offer challenges on many levels: fine motor, language, cognitive and perceptual. Reading and number skills are enhanced, and kids learn to communicate, solve problems, reason and create. What better way to spend family time than playing a game together! !